I have been very busy sewing away, finding fun Fall clothing to make up my wardrobe. I have a few items that I would like to share with you and a pattern review. 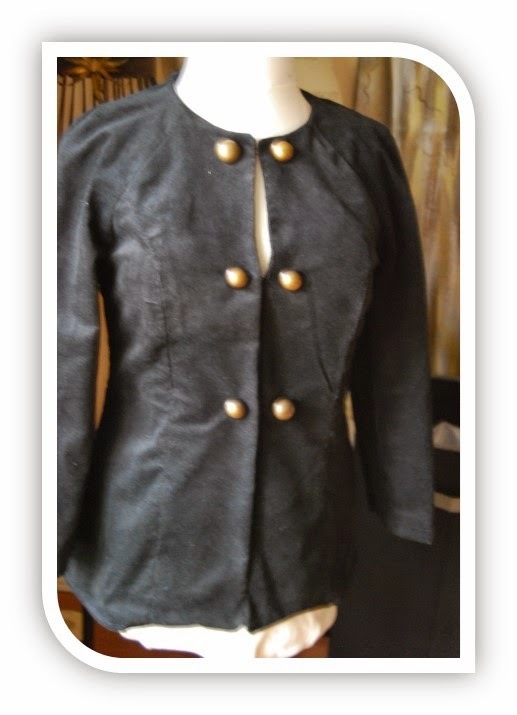 Jacket available in three lengths. Variation of collars and sleeve lengths. I cut style D in a size 6 and B cup. The pattern was fairly simple. I didn't use the instruction, but I did read the instructions for the sake of the review. The pattern are easy to follow and the drawings are clear. 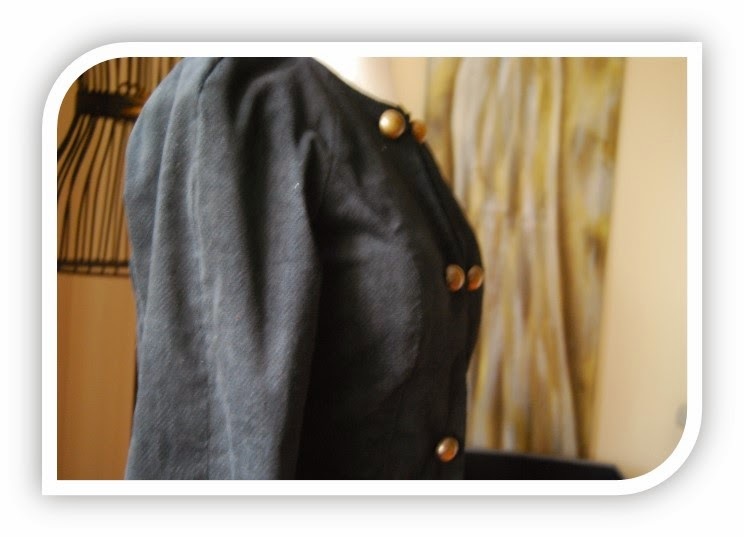 This is a great pattern for beginner sewist, because the construction is simple. I like the ease is which the jacket came together. I also really liked the ability to choose your "cup" size that best suited your body shape. 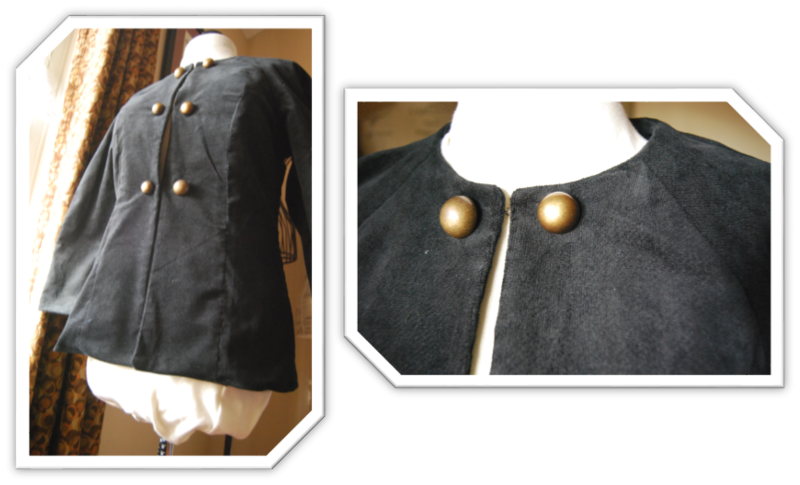 I used a black corduroy fabric that is fairly stiff and can hold the shape of the jacket quite well. Yes, I made a few changes to the pattern. I sure will, I am thinking of sewing the longer version with a loser fit for an over coat style. I absolutely would recommend this pattern to others. It is easy to sew, there are so many options to choose from. Great pattern to try, easy to fit and easy to dress up or dress down. 1. added 18" to length of the front and slightly less to the back because the original pattern had a high-low effect. 3. self-drafted the front facing to match the full length of the jacket. This one I made with a light, see through sweater knit. it was so much fun to make. It's an easy thing to throw on with jeans, long-sleeve tee and a way you go. 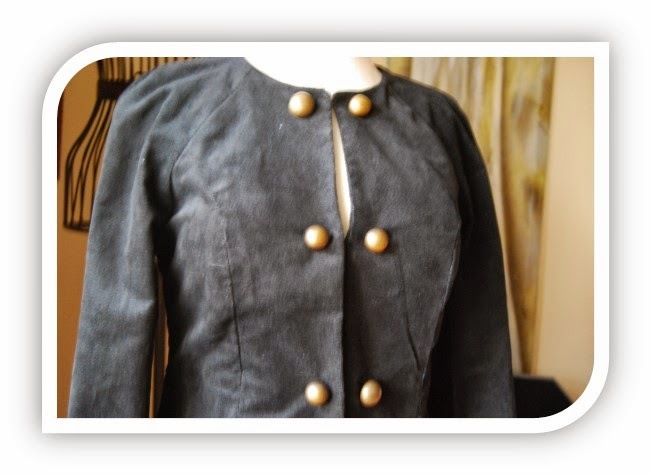 This one was made with a brown faux suede fabric. Again, use to wear with different things. You can dress it up or down. Very nice. I have this pattern and had not considered this take on it. Very cute. Love the dusters too. Fabulous! !